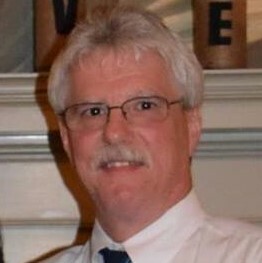 STAPLETON, Timothy F. “Tim”, of Holbrook, formerly of Dorchester, passed away peacefully after a courageous battle with cancer, on March 25, 2019, at the age of 61. Born in Boston, Tim was raised and educated in Dorchester. He was a wonderful cabinet maker by trade and was a member of the local carpenters union. Tim enjoyed playing softball and video games, especially when his children were involved. He was an avid New England Sports fan, especially when it came to the Boston Red Sox. Tim enjoyed spending quality time with his family on Cape Cod. He had a love for animals, especially cats. Tim was a hardworking and caring man who will be sorely missed by all who were blessed to have known him. Beloved husband of Debbie (Hogue) Stapleton. Loving father of Matthew Stapleton, Kristen Stapleton and Lauren Stapleton, all of Holbrook. Son of the late Richard and Gloria (Sherman) Stapleton. Devoted brother of Dennis Stapleton and his wife Nancy of Randolph, Barbara Connolly and her husband John of S. Weymouth, Matthew Stapleton of Dorchester, Maryellen Stapleton of Bellingham, Michelle Murphy and her husband Phil Sheehan of NH, Elizabeth Mahoney of E. Weymouth, and the late Richard Stapleton Jr. Dear brother-in-law of Irene Stapleton of Boston, Donna Taylor and her husband Bobby of Holbrook, Melvin Hogue of Peabody and Michael Hogue and his wife Shannon of Wilmington. Dear son-in-law of Melvin and Elizabeth Hogue of South Boston. Also survived by many nieces and nephews. Relatives and friends are respectfully invited to attend a visitation period on Monday, April 1st, from 10:00 AM – 1:00 PM, in the Cartwright Funeral Home, 69 S. Franklin St. (Rt. 37), Holbrook. A Funeral Service will be held immediately following at 1:00 PM in the Cartwright Funeral Home. Burial will follow in Cedar Grove Cemetery, Dorchester. In lieu of flowers, memorial contributions may be made in his name to Dana-Farber Cancer Institute, P.O. Box 849168, Boston, MA 02284-9168 or to the Holbrook Fire Fighters, Local 1452, PO Box 222, Holbrook, MA 02343.